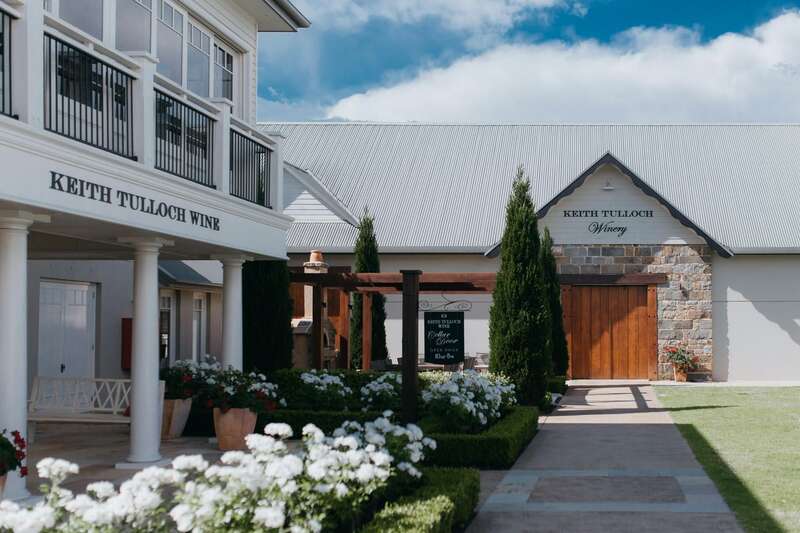 If you’re looking for a tasting experience that’s relaxed and just a little bit classy, you can’t go past a visit to Keith Tulloch Wine. Located on the corner of Hermitage and Deasys Rd, prime Hunter Valley wine territory, it sits amidst other well known and loved vineyards that are also sure to be on your day’s adventure list! For a small tasting fee (redeemable upon wine purchase) you’ll be seated inside or if preferred out on the airy verandah overlooking the shiraz vines and Brokenback Range. No standing at the bar; just sit, relax and one of the lovely cellar door staff will guide you through some excellent wines. If you feel a little peckish, you can select a cheese platter to compliment your tastings or if you plan ahead, be sure to visit around lunch time and book a table across the courtyard for a delicious culinary experience at Muse Kitchen. Our favourite wine of the day was the 2016 PERDIEM Pinot Gris. With its fresh, bright flavours of freshly-cut pear and apple with a floral and musky perfumed richness. This appealing wine will compliment almost any food and whilst you can cellar it for up to 3 years it’s best enjoyed straight away.